Buy online LM7906 Voltage Regulator in India at low cost from DNA Technology, Nashik. 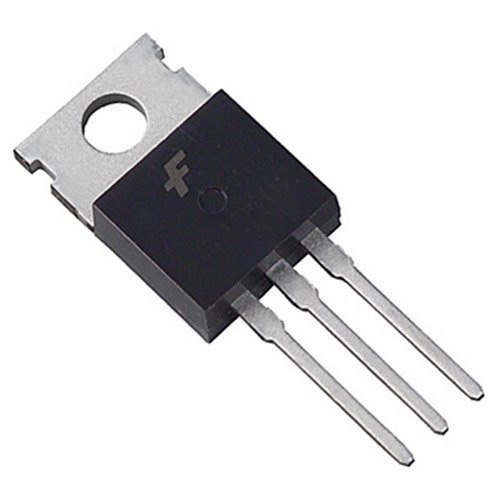 The LM79XX series of three terminal negative voltage regulators is available with fixed output voltages of −5V, -6V, −12V, −15V, and -18V. These devices need only one external component — a compensation capacitor at the output. 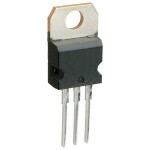 The LM79XX series is packaged in the TO 220 power package and is capable of supplying 1.5A of output current. These regulators employ internal current limiting safe area protection and thermal shutdown for protection against virtually all overload conditions. 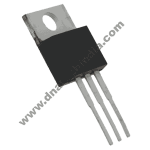 Low ground pin current of the LM79XX series allows output voltage to be easily boosted above the preset value with a resistor divider. The low quiescent current drain of these devices with a specified maximum change with line and load ensures good regulation in the voltage boosted mode. 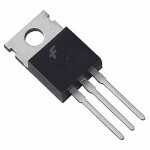 LM7906 voltage Regulator has output of -6V DC and 1.5 Ampere current. LM7905: Fixed Three terminal Negative Voltage Regulator. The LM7905 series of 3-terminal regulat..
LM7806 Voltage RegulatorThe LM78XX series of three terminal positive regulators are available in the..
LM7918 Voltage RegulatorThe LM7918 is a 3-terminal negative voltage regulator. 7912 voltage regula..